Come See What all the Bark and Meow is about! 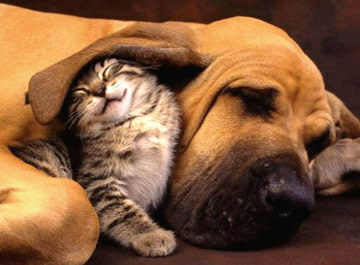 If you have found your way to our website, I imagine you are looking for an extra special place for your furry loved ones. If you worry about your fur-kids all day, you can stop now, because Laurie and her husband Rick built Paw Tenders from the ground up and every aspect of the building and business is based on our love and the well being for your loved ones as well as our own. See your fur-kid's new Facility. In Floor Heat, central air conditioning and state of the art exhaust fans in the entire facility!!!! Laurie's life has always revolved around caring for animals. That passion to care for animals, later in life, lead to a degree in animal science, office manager and a Vet-Tech for a Veterinary Clinic and then started a Pet Sitting Service in 1994. We wanted to create a place that would be fun, comfortable and safe for dogs and cats that could all come together to one place to be with their friends. 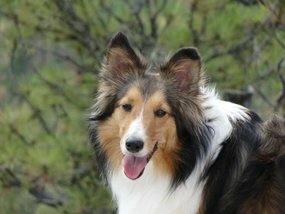 Our inspiration was our own dogs and cats, especially Missy, our little Sheltie, who developed health issues, that required frequent poddy breaks because of the medications she was on. Then, when we received a young rescue sheltie, Angel, she needed more attention than staying home all day while we worked. Thus Paw Tenders Pet Care Center was born. Bring your fur-kid to daycare for the day while your at work and the results will be a relaxed, calmer and happier dog. No more guilt for not having the time to walk your fur-kid. We also have a puppy program that is designed to make your fur-pup a well rounded dog! Puppy Program ....Paw Tenders is owned and operated by Laurie and only cares for a limited amount of dogs. They each have their own little personalities and she wants to provide the care they deserve. Because of this not all dogs will pass the evaluation to be part of the pack. She will make sure that if there is an issue that it will either be addressed before hand if possible.